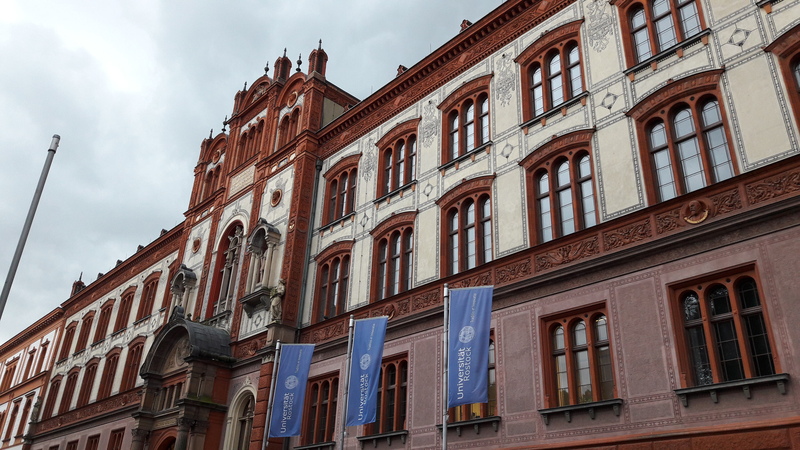 I’m happy that Virtual Vehicle Research Center gave me the chance to visit Prof. Fellmann and the University of Rostock as part of a internationalization action. The quantified car topic is part of another big EU project named SCOTT (Secure COnnected Trustable Things), coordinated by Virtual Vehicle Research Center. 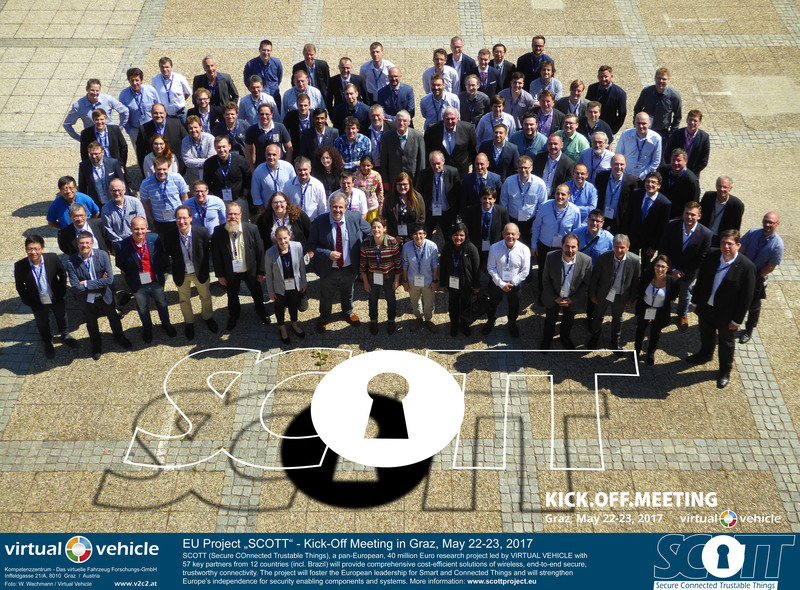 I’ve attended the SCOTT Kick Off meeting in Graz (group picture below) and will also attend the next plenary meeting in Porto. Kaiser, C., Stocker, A., Viscusi, G., Festl, A., Moertl, P., & Glitzner, M.. (2017). Quantified cars: an exploration of the position of ict start-ups vs. car manufacturers towards digital car services and sustainable business models. In Proceedings of 2nd international conference on new business models (pp. 336–350). 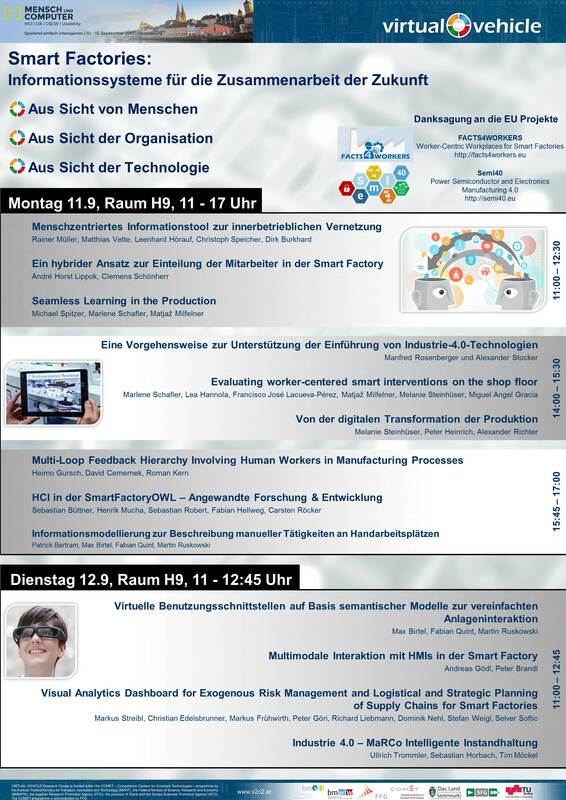 ..
Here’s the workshop program of the fourth workshop „Smart Factories: Mitarbeiter-zentrierte Informationssysteme für die Zusammenarbeit der Zukunft“ in Regensburg (Germany). The workshop is officially hosted as dissemination event of the 2 EU projects FACTS4WORKERS and Semi40. 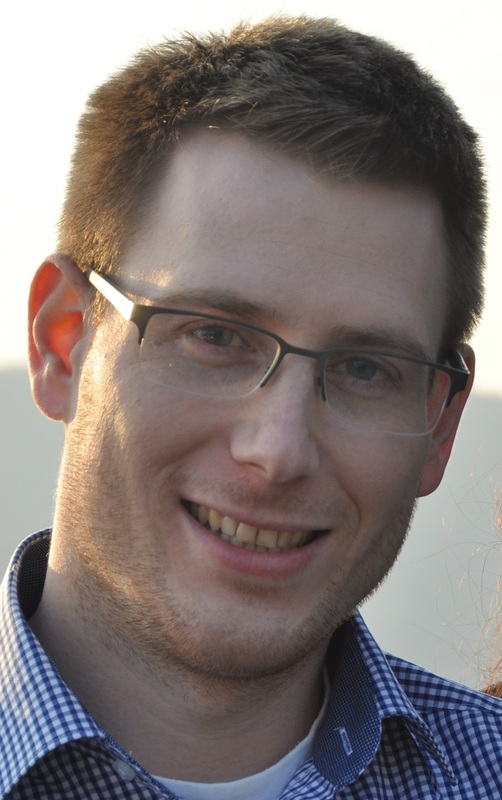 See the most recent blog post of Alexander Stocker on his Zendrive test. Zendrive is a smartphone application that collects vehicle trip data including smartphone sensor data. The blog post gives some insights in our recent work. I’m the main organizer of the fourth workshop „Smart Factories: Mitarbeiter-zentrierte Informationssysteme für die Zusammenarbeit der Zukunft“ in Regensburg (Germany). sent in for the session „Business Models in the Age of Digitalisation“ at the New Business Models Conference has been accepted. We will now revise the abstract and hand in the final version. Beside that we have submitted an abstract to the TRA (Transport Research Arena) conference in Vienna.